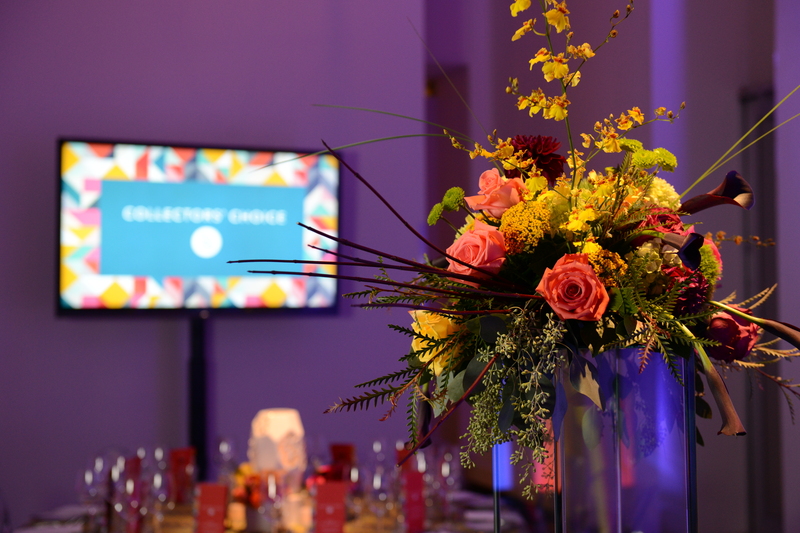 Collectors’ Choice is the Denver Art Museum’s elegant black-tie fundraising gala. 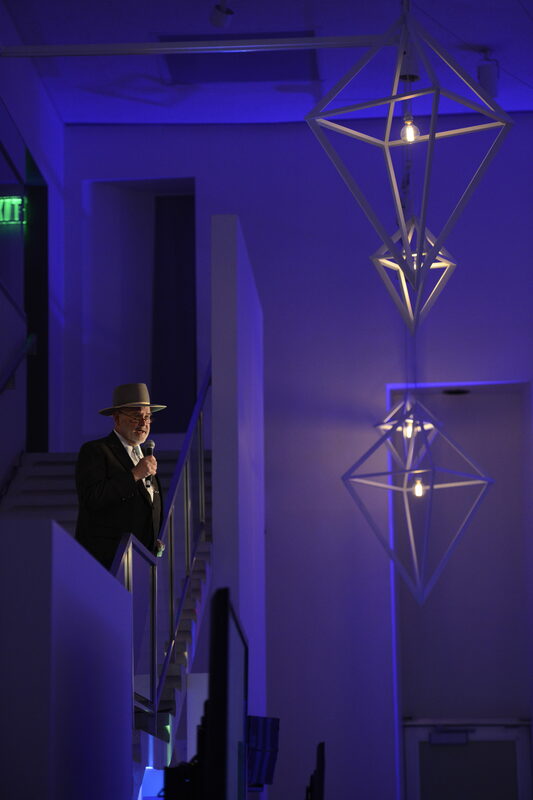 The evening included cocktails and hors d’oeuvres in the Frederic C. Hamilton Building, a seated dinner in the North Building, as well as surprise performances by the Northwestern University marching band and tenor Matthew Polenzani accompanied by pianist Sahar Nouri. 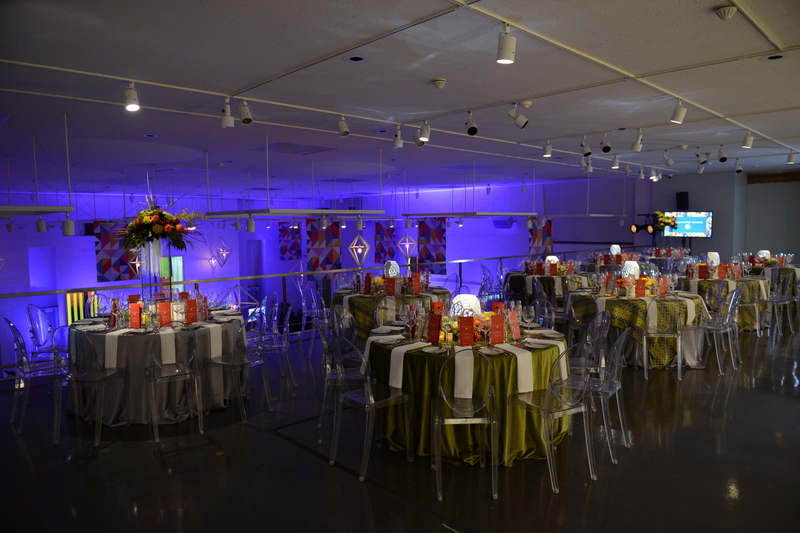 The ceiling was dress with White Geo Chandeliers and Ponti Patterned fabric panels. 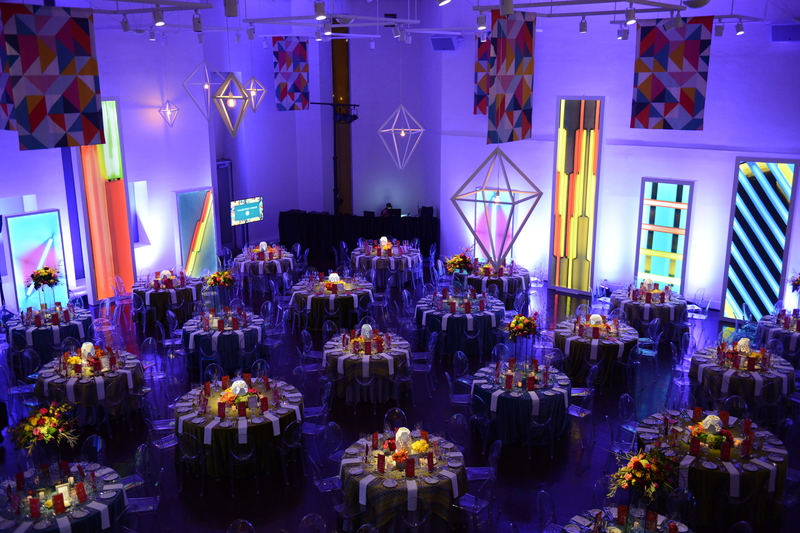 The perimeter was accented with light boxes, decorated with Dan Flavin style imagery. 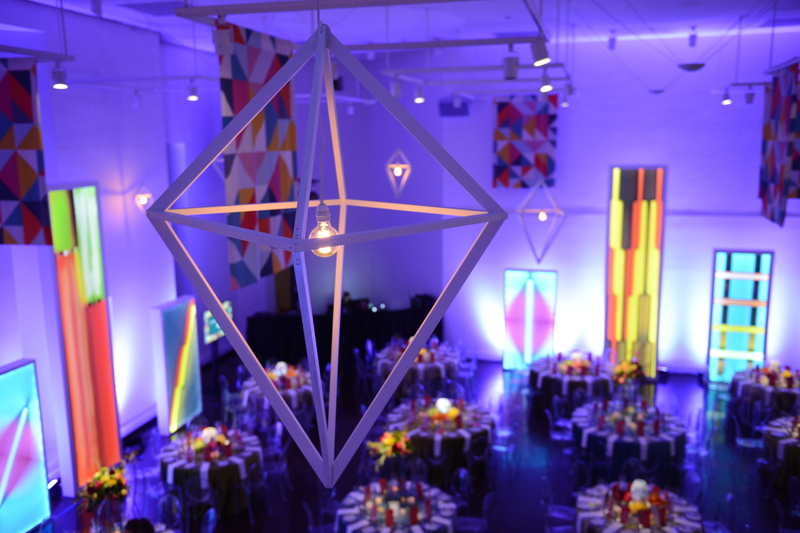 51 guest tables alternated between different linens, florals, and geometric centerpieces. 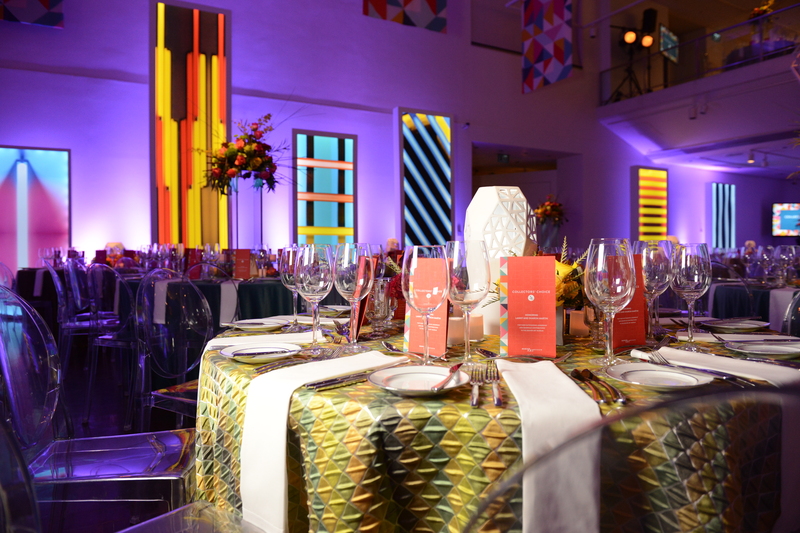 The create a cohesive design, florals and accent decor was placed throughout the museum, along paths for additional wayfinding, and in the cocktail area for an extra pop of color and style. 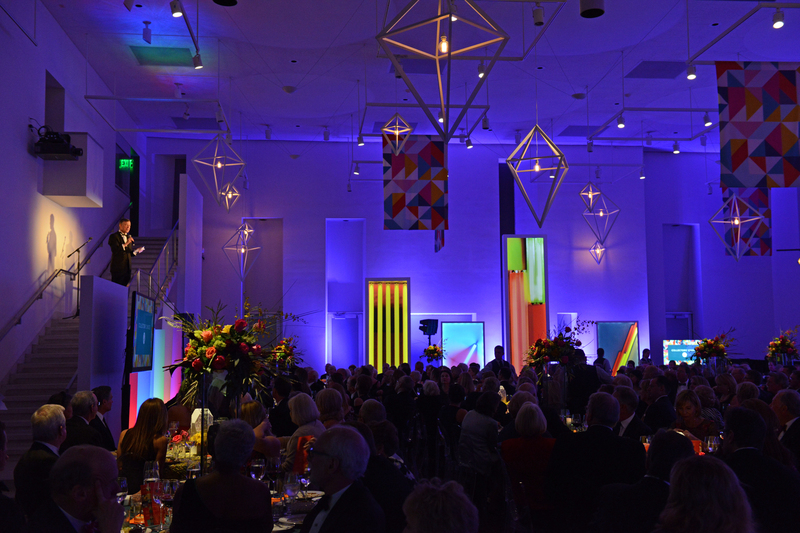 To read more about the gala, visit the Denver Art Museum.